can be accessed as a part of a home-schooling program or by students with prolonged illnesses. 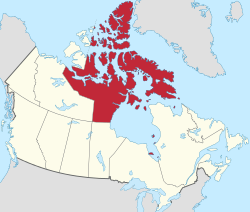 There are also territorial agreements between Nunavut and various distance learning providers, for example the Alberta Distance Learning Centre (ADLC). Distance education and/or online learning is not funded differently than traditional brick-and-mortar education. However, territorial students who are officially registered as part of a homeschooling program are eligible to receive up to $1000 of expense reimbursement for distance education programs to cover the costs of registration fees, books, and equipment. Finally, the development of a Ministerial Directive regarding access to and delivery of distance education has been underway since 2012. The Department of Education tracks student enrolment information through its agreements with distance learning providers. For example, the ADLC grants the Department access to their online tracking site to verify students’ final marks. During the 2017-18 school year there were 24 students enrolled in courses offered by the ADLC. Additionally, an unknown number of students attending twelve schools in seven communities access some programming delivered through Connected North (i.e., an Ontario-based program that offers academic and trade-based courses). At present, the Department of Education is not involved in any blended learning initiatives. When Nunavut was first created in 1999, it continued to utilize the Education Act, 1996 – a piece of legacy legislation from the Northwest Territories. In this legislature there was a provision that allowed various educational bodies to “authorize, supervise and evaluate the use of distance learning programs in the provision of the education program” (p. 58). This legislation was updated with the Nunavut Education Act, 2008, which only referenced distance education in a statement that a university providing “distance learning programs by mail or by electronic means from outside Nunavut to persons in Nunavut” was not considered to be operating in the territory (p. 95). Since the inception of this study, Nunavut has not had any active K-12 distance education programs. While the Ministry of Education has stated that there have been pilot programs in the past, there has been no information found or provided about these pilot projects. Around 2012, the Ministry indicated it was developing a ministerial directive regarding access to and delivery of distance education. The State of the Nation: K-12 E-Learning in Canada study has always reported that students from Nunavut have only enrolled in distance education offered through the Alberta Distance Education Centre. If a student in Nunavut wished to receive credit for a course taken from an online program in another province or territory the process varies depending on where the online program is located. If the online program is located in Alberta, the list of specific transfer credits is available in advance and specific equivalencies are automatically granted (i.e., due to the fact that the Nunavut senior secondary core program is linked to the Alberta course curriculum). If the online program is located in another province or territory the school principal would request the curricular information from the jurisdiction from which the course originates. Where the online course can be shown to be equivalent to an existing credit course contained in the Council of Ministers of Education, Canada Student Transfer Guide, the guide outlines the steps for credit transfer. Finally, using online programs from a jurisdiction other than Alberta would require Ministerial approval. The same process would occur if the online program was located in another country. As Nunavut does not offer any distance education programs of its own, students from other jurisdictions are unable to enroll in their courses to receive credit.